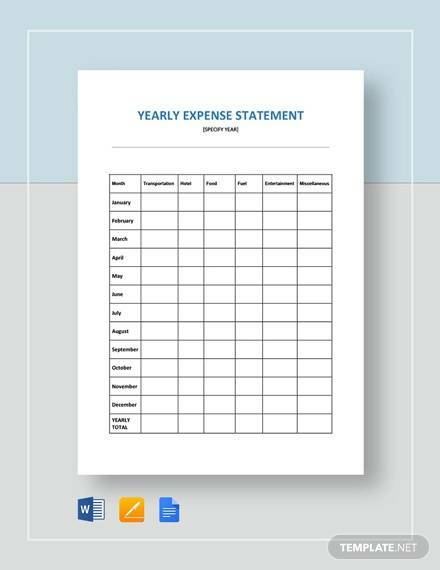 An expense statement or report has been prepared to show monthly or weekly or annually expenses of an individual or an organization. 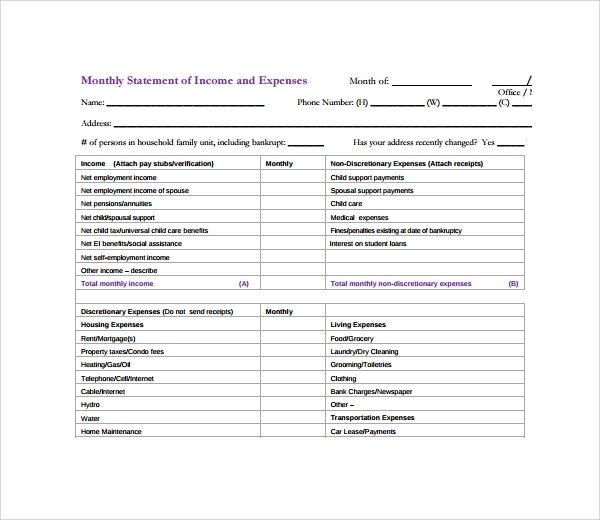 Just like an income statement, expense statement is also prepared and used for various purposes. 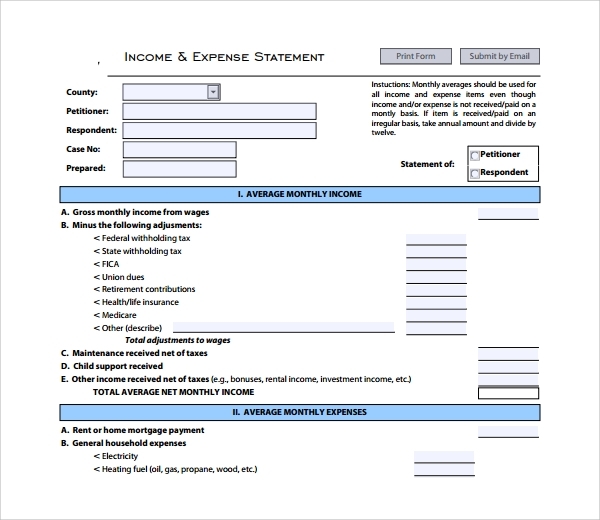 In fact, in most of the expense statement format, Method Statement Template income column has also been incorporated. Such reports or statements have been called as expense and income statement. Typically expense statements have been broken down to several subsets to show various expenditures. 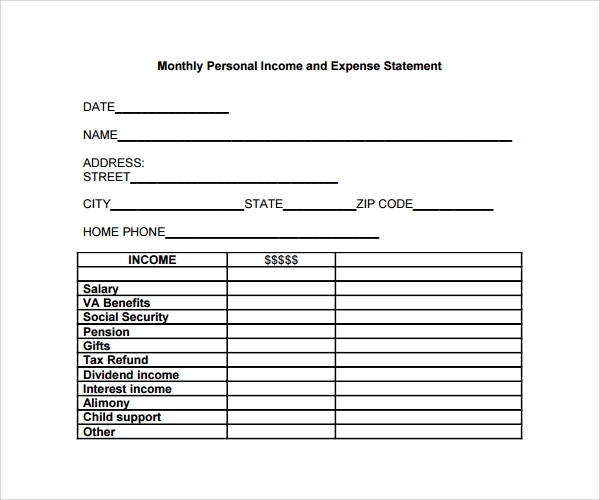 The household income, expense statement includes monthly or yearly household income and expenses on various things. It typically helps setting fixed household management as well as improvement budgets. 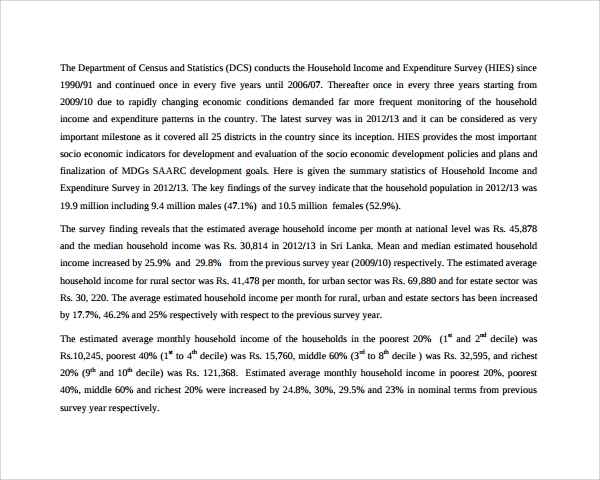 To create such a report, using household income expense statement template is recommended. Templates offer systematic structure to maintain sources of income and various expenses neatly or accurately. For personal finance management, preparing personal income and expense statement is a common practice. It includes the sources of income of an individual on weekly or monthly or yearly basis, and also lists down the various expenses that the person has done on weekly or monthly or yearly basis. The report helps a person to make better financial management, cutting off additional expenses and exploring more chances for income. 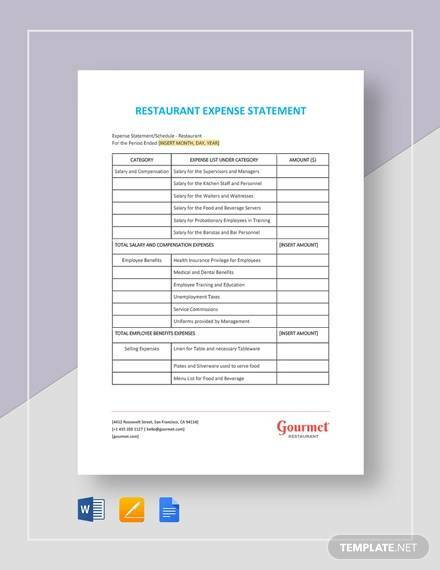 As the name suggests, monthly expense statement reports the monthly expenditure that has been done by a person or an organization. Just like income statement, the checking expense statement also helps in better financial management. It helps taking decision on cut off unnecessary expenses. It also helps finding areas where expenses can possibly be minimized. 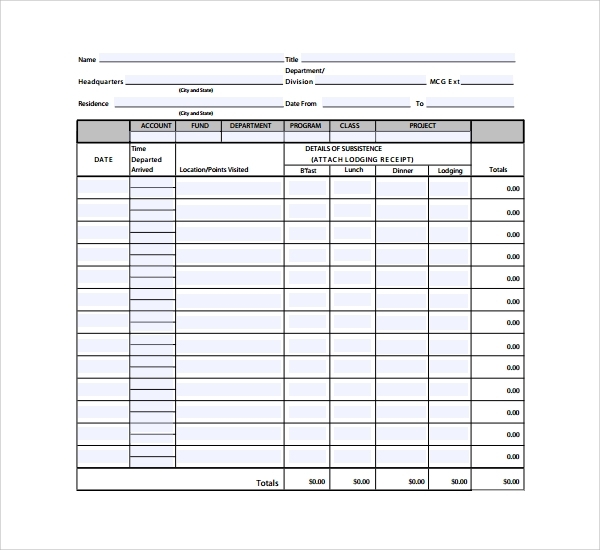 An expense statement has been used for wide ranges of purposes. Generally businesses or organizations prepare such reports to ensure better financial management and to keep track on the regular expenses. The purpose is also more or less same for individuals. 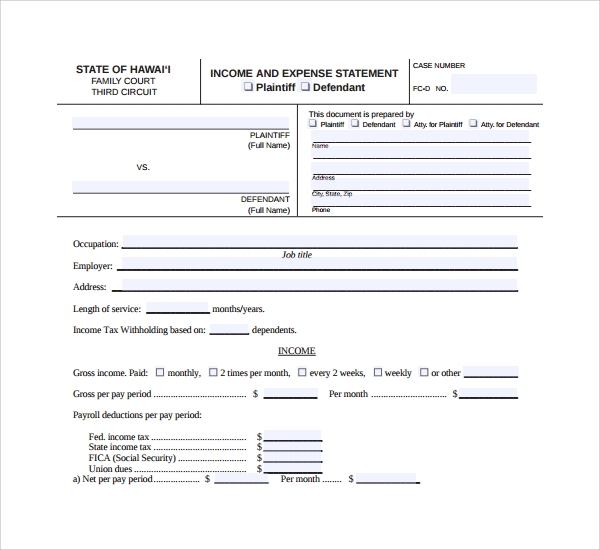 An expense statement includes both income and expenditure columns. Thus, it becomes easier to manage or reduce or enhance expenses as per the income. 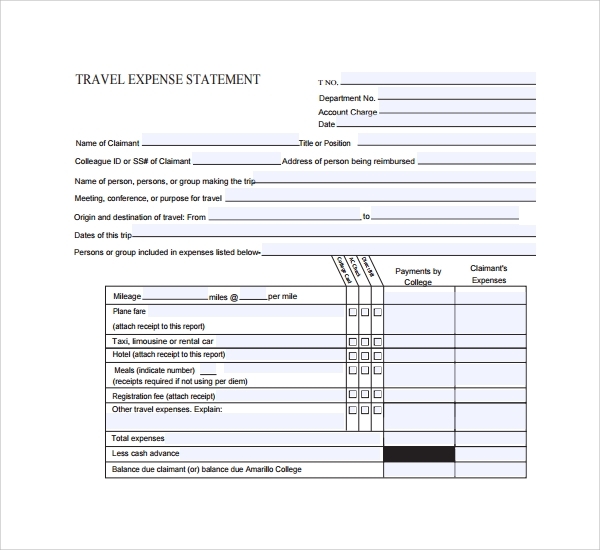 Travelers, especially business travelers also need make their own travel expense statement. A part of the traveling expenses will be paid by their companies, after checking the complete travel expense statement. 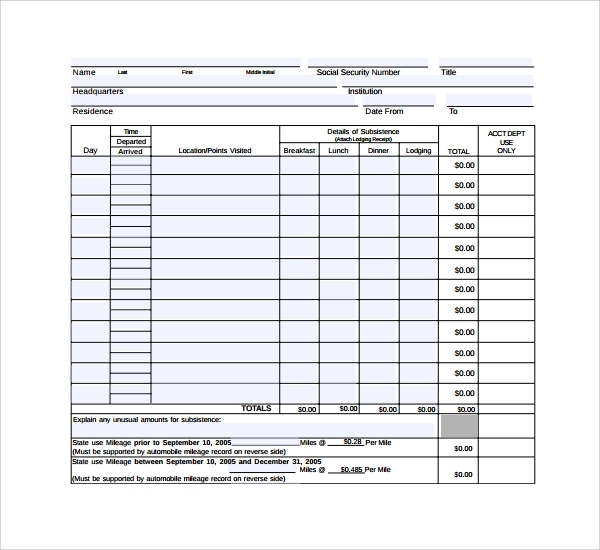 Why Should You Use Expense Statement Template? 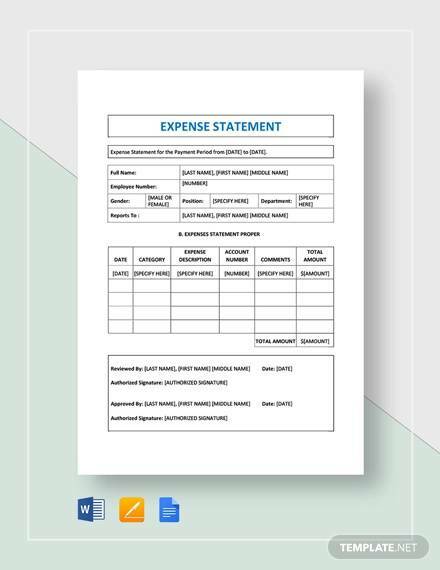 Expense statement template is a ready to use and customizable template that allows users to input their incomes and expenses so that a report or expense statement can be prepared instantly. It already comes with the standardized structure of an expense statement, Capability Statement Template and thus you do not need to waste time on structuring. Just edit the template by giving your own set of inputs, and your expense statement will be ready. 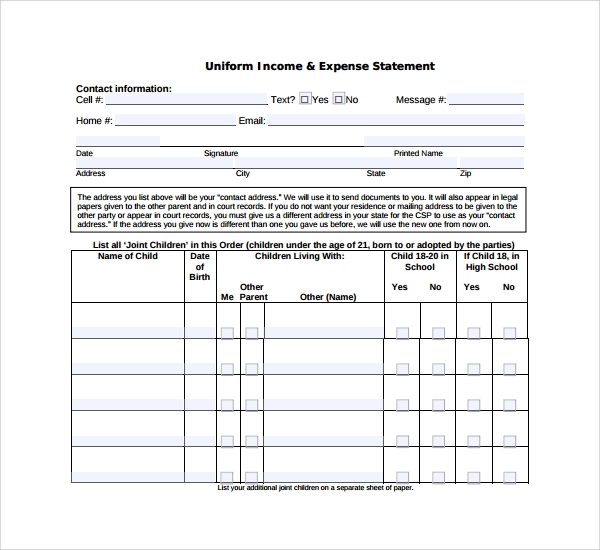 Why Standardized Format for Expense Statement Is Important? Financial bookkeeping always stresses on following standardized format that has been acknowledge globally. 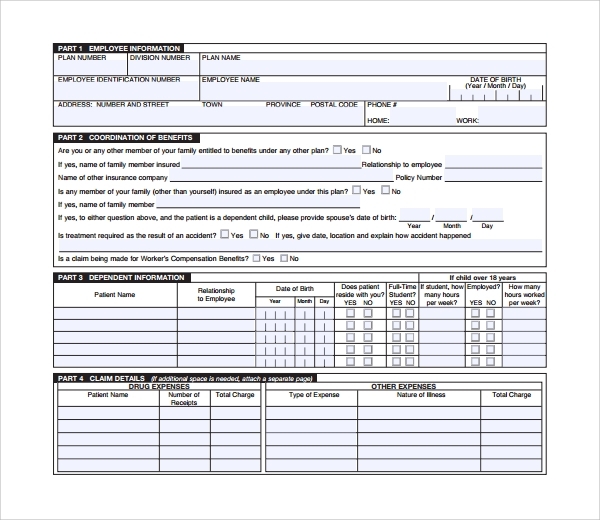 The benefit of using standardized format for creating monthly or yearly expense statement is its lucidity. The Problem Statement Template or report can easily be interpreted at any time or by anyone without facing any glitches. Furthermore, if you are preparing expense statement to submit to your office, make sure that it looks professional and standardized otherwise it would not accepted. This is why using template for expense statement is the best option, as that helps keeping standardized format with perfection. 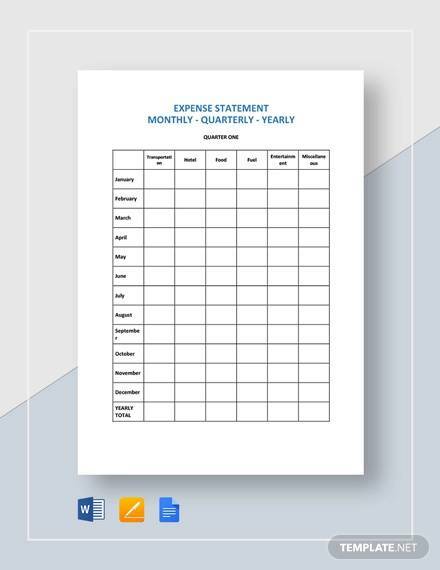 Downloading expense statement template is easy and hassle free. You can download it in any desired file format, like PDF, MS Word, etc. The templates are completely customizable and using them quite simple. As they provide standardize structure, these templates have 99.99% success rate assurance. You can use them for any professional purposes or personal uses.